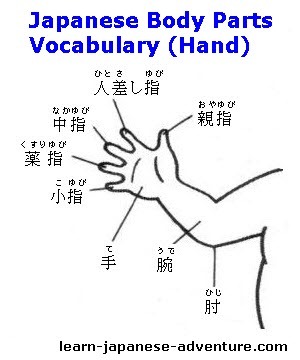 This section covers the words and vocabulary related to Japanese Body Parts. In addition, you also get to learn the correct way of making sentence to describe them. You may find it difficult to memorize the names of the various body parts. My suggestion is to start with the easy one like 髪 (かみ - kami), 耳 (みみ - mimi), 目 (め - me), etc. Once you are familiar with them, it will be easier to tackle the more difficult body parts. Before going to the words and vocabulary, let's see how you can describe them in a natural way. 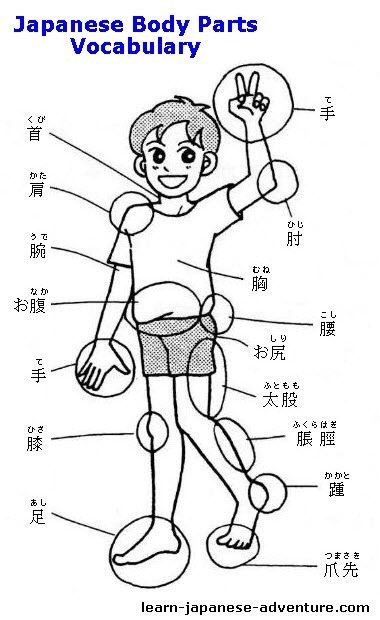 How to Make Description of Japanese Body Parts? Meaning: Mr Tanaka's hair is long. Meaning: Mr Tanaka is good in English. Let's see the names of the various Japanese body parts. The above are the names of various Japanese body parts. Although these words describe the body parts of human being, some of them are also applicable to animals.